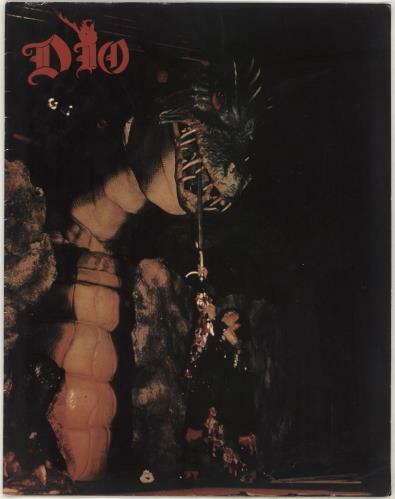 DIO Intermission Tour (Official 1986 UK 16-page 11" x 14" programme packed with superb photographs, tour credits & profiles on each band member, with the 'Herp Beat' insert still attached. The front & back cover shows some light patches of creasing & the inside pages remain in Excellent condition). or visit our Dio image gallery.